The Best of Fritz Leiber, Sci Fi. 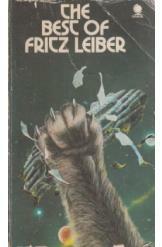 A collection of short stories by science fiction and fantasy author Fritz Lieber. Includes "Gonna Roll the Bones," "The Big Trek," "Mariana," and nineteen others. Book is in good condition, all pages intact.